From haute couture to streetwear to sportswear: the market for Muslim fashion is growing worldwide. Contemporary Muslim Fashions is the first major exhibition ever to explore this development. After the show caused a critical debate at the Fine Arts Museums of San Francisco, Frankfurt is its first venue in Europe. 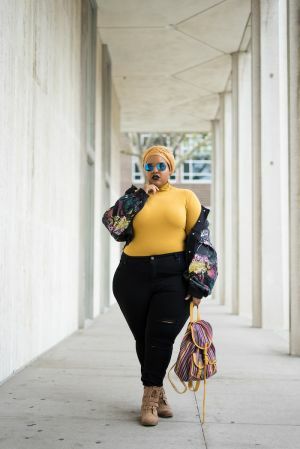 The exhibit wants to offer "a virtual snapshot of the latest in Muslim clothing styles from all over the world with a particular focus on the Middle East and Southeast Asia as well as Europe and the U.S.". In the process, its aim is to reflect on "clothing’s role in the expression of individual, religious and cultural identity in all its many facets–and in shaping identity". Some 80 ensembles by established and emerging brands, enhanced by fashion photography and catwalk videos, want to "show the ingenuity that goes into interweaving regional aesthetics with global fashion trends. Original material from the social networks, which play a central role in the spread of the new trend, will moreover offer insights into the diversity of fashion design in the Muslim world and give various protagonists a voice". Already before the official opening tonight the exhibit causes a controversial debate also in Germany, as was unveiled in an article by dw.com: "The coordinators of the German exhibition have already started receiving racist hate mail ahead of the opening [...] On the other end of the spectrum, weeks ahead of the show, activists who call themselves "Migrants for secularity and self-determination" have published an open letter in German feminist magazine Emma, in which they state that they are "appalled" by the fact that the exhibition is being shown in Frankfurt. 'This exhibition, which supposedly depicts religious dress requirements as fashion, is a slap in the face of domestic and foreign women's rights activists,' the letter states."